Syracuse’s 37th St. Patrick’s Parade will set off on March 16th with Co-Grand Marshals Joanie Mahoney and Bernard Mahoney. 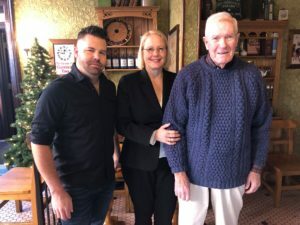 Joanie is the former County Executive and her father, Bernard Mahoney, served as City Councilor in Syracuse as well as in in the New York State Assembly. Joanie Mahoney played a crucial role in supporting the Parade in the 11 years she served as County Executive. Joanie Mahoney currently serves as the Chief Operating Officer at SUNY College of Environmental Science and Forestry and as a special assistant at Upstate Medical University. The Parade will also recognize Casey Vanderstouw as the Gael of the Year. Vanderstouw is the Band Director at Baldwinsville Central School District. The Baldwinsville Bees are a perennial favorite of parade-goers. Vanderstouw is being honored for his work with students and the community. The Parade is also embarking on the 12th year of the St. Patrick Hunger Project. The Hunger Project raises funds and collects food for local food pantries to fight hunger in CNY. To date, the Hunger Project has provided over 650,000 meals for children and families in the community. 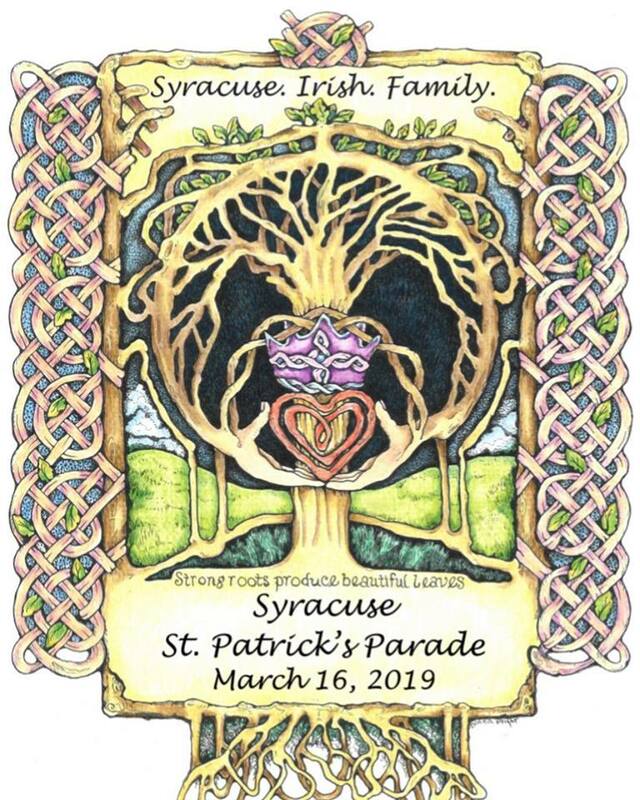 The parade will begin at 12 p.m. on March 16, marching through downtown Syracuse along Nancy Duffy Lane (South Salina Street).